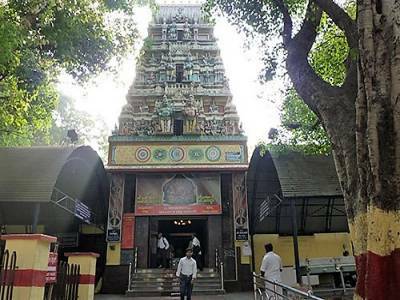 The Dodda Ganesh Gudi is a Hindu temple dedicated to the deity of the elephant God Ganesha situated in the city of Bangalore (present day name Bengaluru), the largest city in the south Indian state of Karnataka. The name of the temple itself translates to Big Ganesh Premises. Ganesh here is the name of the Hindu deity with the head of an elephant and the body of a human. 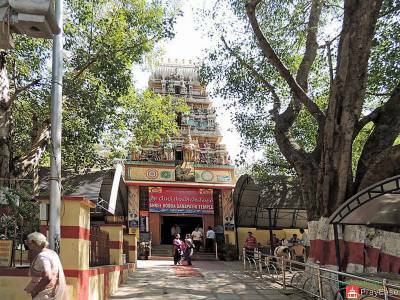 It is located in Basavanagudi, roughly 20 kilometres from Bangalore central to the south of the city and is built inside the premises of a delightful garden known as Bugle Rock garden. 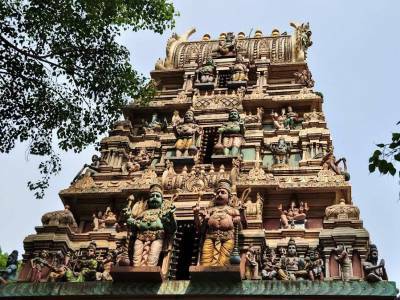 The temple complex also includes a Nandi temple which is a shrine dedicated to the worship of the Hindu demi god, a black bull carved out of stone, fondly referred to as Nandi Maharaj or Nandi the King. The bull is revered and worshipped in Hindu religious circles by affirming their belief and faith in the doctrines of Hindu teachings as it is supposed to be the vehicle of one of the Gods forming the holy trinity in Hindu religion, Lord Shiva. Lord Shiva is also projected as a powerful God in Hindu scriptures and is supposed to be the Creator and Destroyer of Worlds. He is also the most widely sought after or worshipped male deity in the Hindu religion. 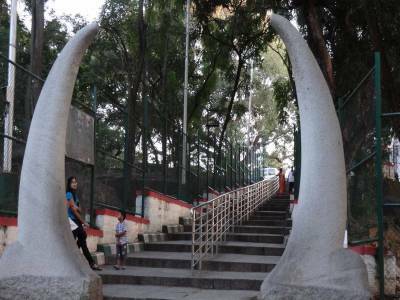 Just behind the Dodda Ganesa temple is the Bugle Rock Garden. The intriguing nomenclature of this sprawling flower garden can be attributed to a bugle call siren made at the summit of the tallest rock formation before the area was converted to a garden to intimate the nearby dwellers. The Bugle Rock Garden is also home to diverse wildlife including a host of bats at night swarming the place. It also hosts a water tank in its premises which houses a variety of aquamarine life forms and resplendent with several relief structures and motifs representing several epithets from religious scriptures. 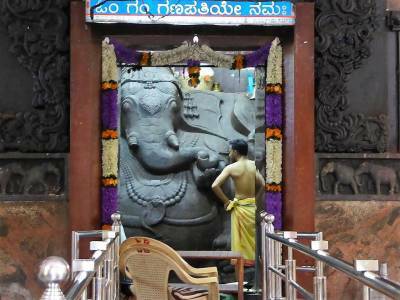 Get quick answers from travelers who visit to Dodda Ganapathi Temple.